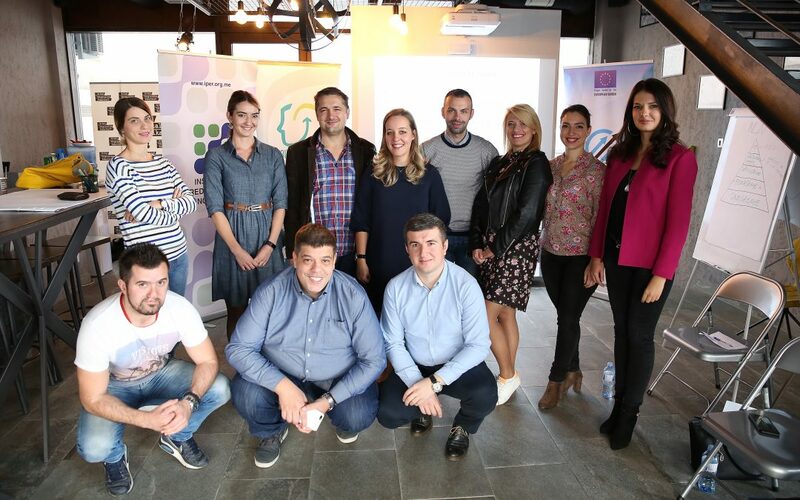 Within project Youth Business for young entreperneurs, sixth in a row one-day training was held on 25 October at the topic ‘Business management by goals’, in the premisess of Mtel Digital Fabctory. 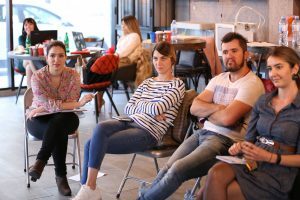 The training was led by Jelena Marković, the founder of Network for Personal Development Smart Change. During a one-day interactive workshop, the attendants had the opportunity to master the skills of creating constructive, precise and measurable goals in entrepreneurship, and that acordingly thay could create monthly and annual action plans. Entrepreneurs had the opportunity to learn how to distinguish what the goal is and what the goal is not, to make difference from goals, resources and steps and how to define the specific goals that bring the results, that the constructive goal is more than ‘I will have X money’ and ‘I will earn Y money’, and for good management and time organization is so important that the goal is clear, affirmed, measurable, inspirational, concrete and dependent on the one who sets the goal and not from some other (external) factor. 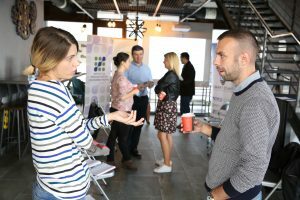 Also, entreperneurs were encouraged to re-evaluate their value in business and what it is for what they consider it worthwhile to invest extra time, energy and money. As an important element of setting good goals is especially the process of failure. The fear of failure is often seen as a motivating factor and entrepreneurs have learned how to access failure from a different angle and take advantage of the failure of the business (which is inevitable at some stage) to make the necessary change, instead of giving up. The special attention was given to the psychological mechanisms to cope with failure. Then, in the second part of the workshop, the entrepreneurs learned about Neuro-Logical Levels (NLN), a tool that helps us to perceive the business goals from five different angles – Who am I? What do I believe in? What is important? What skills and traits do you need to develop? What should I do? How should my environment look like? This tool from NLP metodology proved by experience to be extremely efficient when you need to align personal and corporate goals or objectives should be aligned more members of the same organization. 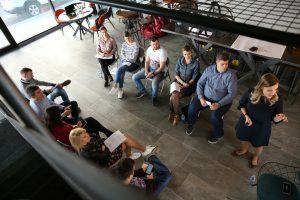 With practical exercises, they learned how to define and set their goals, to maintain the level of motivation on daily basis, to make sure that ongoing work in the right direction. The workshop was conducted in accordance with the methodology of the Transaction analzize (TA) and Neuro linguistic programming (NLP).